The Annual Meeting of the American Crytsallographic Association was held from July 20-24 in Honolulu, Hawaii. The programme included a broad range of crystallographic topics on structure validation, materials for a sustainable future, structural enzymology, thin films, data mining, and neutron & synchrotron sources. Karim Sutton represented Chem Cryst, and was awarded a Margaret C. Etter Student Lecturer Award for his contribution on the application of macromolecular phasing techniques to small molecule crystallography. 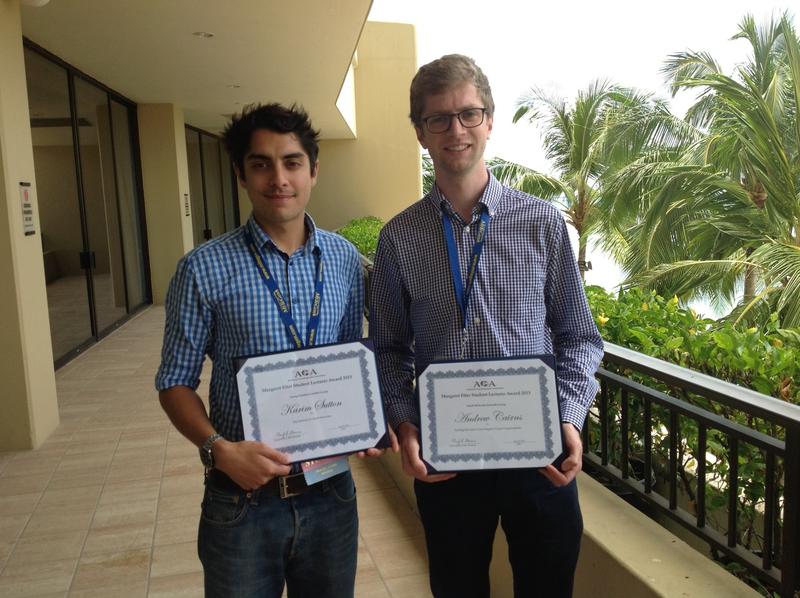 Andrew Cairns from Oxford also attended and gave a talk on designing new materials with large negative linear compressibility, for which he was also awarded a Student Lecturer Award. Congratualtions to them both!